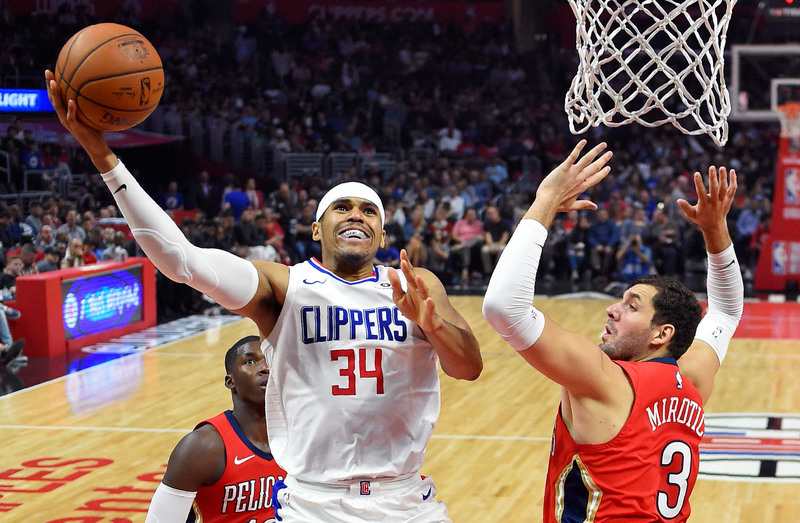 Popularly addressed as T.J., Tobias Harris is a professional basketball player, who currently plays as a forward for the Los Angeles Clippers of the NBA. He played in a varsity basketball team as an eighth-grader. and would later play college football at Tennessee but only for one season, after that, he declared for the NBA Draft. Charlotte Bobcats selected him 19th overall in the 2011 NBA Draft and traded him to the Milwaukee Bucks. He would later play for Orlando Magic and the Detroit Pistons before being traded to the Clippers in January 2018, alongside Boban Marjanović, and Avery Bradley in exchange for three players (Brice Johnson, Willie Reed and Blake Griffin). Harris was born on the 15th day of July 1992 in Islip, New York to African-American parents – Lisa and Torrel Harris. His full name is Tobias John Harris. He’s not the only child of his parents as he has five other siblings – two sisters (Tori and Tesia) and three brothers (Tyler, Terry and Torrel). All his family members are involved in the game. His father is a former sports agent and a college player. Two of his brothers are also into the game. While his brother Tyler plays in the development league with the Windy City Bulls, Terry plays at Eastern Michigan as a junior forward. His sisters are not left out, Tori plays for James Madison University, while Tesia (his oldest sister) played basketball at St. Johns. He attended Half Hollow Hills High School West where he began his career in basketball until 2008 when he transferred to Long Island Lutheran Middle and High School Brookville, New York for his junior year. Harris would later transfer back to Half Hollow Hills High School West for his senior season. In 2010, he earned the McDonald’s All-American and Mr New York Basketball title. After high school, he played college basketball for the Tennessee Volunteers. Under coach Bruce Pearl, Harris played in the point forward position. He became one of the country’s most consistent players and earned several accolades and titles including the USBWA Freshman All-America second-team selection, second-team All-SEC. He also earned a spot on the SEC All-Freshman Team and was ranked 5th best among all freshmen in the six major conferences with an average of 15.3 points per game. He recorded an average of 7.3 rebounds per game and this earned him the 6th position among all major-conference freshmen. In May 2011, he declared for the NBA draft after spending only one season with the Tennessee Volunteers. Tobias Harris began his NFL career with the Charlotte Bobcats who traded him to the Milwaukee Bucks after selecting him 19th overall in the 2011 NBA Draft. In December of the same year, he signed a rookie scale with the Bucks and would make his professional debut with the team in January 2012 in a game against the L.A Clippers. During his rookie season, he played in a total of forty-two (42) games, starting nine and averaging a total of 5.0 points, 2.4 rebounds and 0.5 assists in an average time of 11.4 minutes per game. At the end of his rookie season, the Bucks exercised their third-year team option to extend his contract to the next (2013–14) season. In February 2013, Harris was traded to the Orlando Magic, alongside two other players (Beno Udrih and Doron Lamb) in exchange for Ish Smith, Gustavo Ayón and J. J. Redick. During his first season with the Orlando Magic, T.J. did not only triple his average points per game, he also quadrupled his assists, blocks and rebounds per game, with this amazing records, the franchise was not willing to release him yet, they exercised their fourth-year team option on him, extending his rookie contract scale to the next (2014/2015) season. His records did not drop. In a game against the Los Angeles Lakers played in January 2014, Harris recorded twenty-eight points as well as a career-high 20 rebounds. In March, he recorded a career-high thirty-one points in a game against Philadelphia 76ers. He would later re-sign a four-year contract worth $64 million with the Magic in July 2015. In February 2016, he was again traded, this time to Detroit Pistons in exchange for Brandon Jennings and Ersan İlyasova. In January 2018, the Pistons traded Tobias Harris to the Clippers together with Boban Marjanović, and Avery Bradley in exchange for Brice Johnson, Willie Reed and Blake Griffin. During his debut game, he scored twenty-four points and in a 128–117 win over the Phoenix Suns, he scored thirty points and recorded twelve rebounds. The NBA player stands at the height of 6’7″ (2.03 m). His last recorded weight was 107kg (235 lb) but his other body stats are not available at the moment.